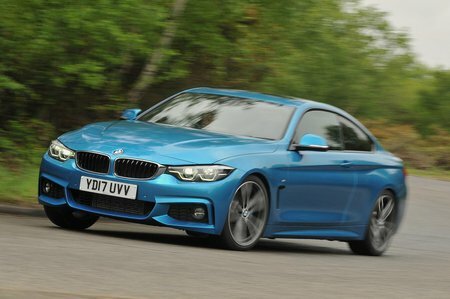 BMW 4 Series Coupe Boot Space, Size, Seats | What Car? Drivers of all shapes and sizes will be comfortable behind the wheel of the 4 Series. There's plenty of shoulder room and it feels roomier than its coupé rivals such as the Audi TT and Porsche 718 Cayman. However, the centre console is a little cluttered when compared with, for example, that in the Mercedes-Benz C-Class Coupé – and this problem is made worse in 4 Series models with a manual gearbox and manual handbrake. There’s a decent amount of storage space, though, with wide, teardrop-shaped door pockets. Extra cubbyholes can be found under the wide central armrest and there’s a pair of cupholders. The 4 Series also comes with a plastic insert that covers this space to double up as a coin tray for loose change. The glovebox is a reasonable size, too. This is the area where most coupés fall short, but the rear seats of the 4 Series are far from being a token gesture towards practicality. Passengers can get in easily enough, thanks to the wide doors and front seats that slide far forward and out of the way. Once inside, there's a surprising amount of leg room, but the sloping roof means taller passengers will have to slouch to stop their heads from brushing the roof. There’s room for only two, with the space between them given over to an armrest. There isn’t much storage space in the back, with no cupholders or door pockets, but even so the 4 Series is more practical than most of its rivals. 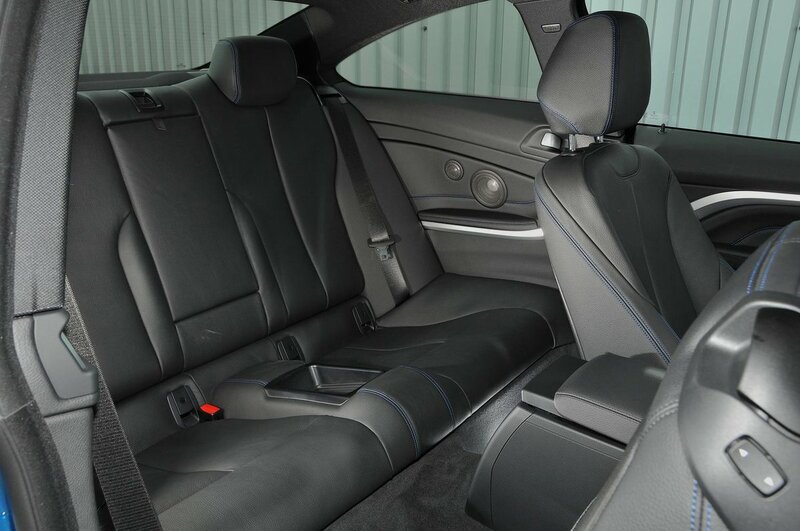 As standard, the 4 Series' rear seats split-fold 60/40. Once folded down, the rear seatbacks sit at a slight angle rather than fully flat, and the parcel shelf is fixed, so there's a restriction on the height of objects you can carry. However, you can spend a bit extra for seats that fold 40/20/40, with a useful ski hatch through the middle for longer items. The front seats automatically return to their original position, so the driver won’t need to reset them every time someone climbs into or out of the back. The seats themselves are easy enough to fold forward but can get caught on the rear seatbelts. The 4 Series comes with a seatbelt extender, so you don’t need to reach back over your shoulder to buckle up when setting off. However, it’s odd that lumbar support for either front seat is not standard on any model. 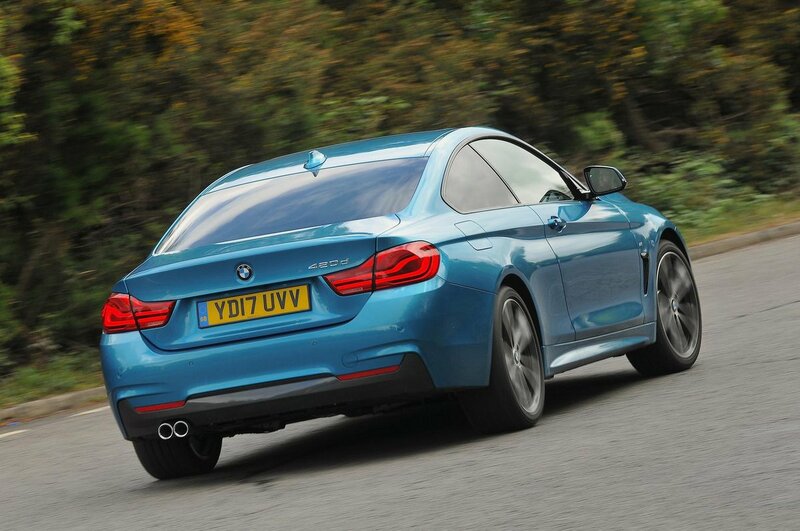 Among saloon-based competition, the 4 Series Coupé's 445-litre boot is on a par with that in the Audi A5 and 45 litres greater than the Mercedes-Benz C-Class Coupé's boot. It's easily enough for a set of golf clubs or a couple of decent-sized suitcases. And it carries comfortably more luggage than coupés such as the Audi TT. The boot's wide, square shape makes it relatively easy to load, but there is a deep lip, so heavier luggage needs to be dropped (rather than slid) in. With the rear seats down, there's even more room. The 4 Series comes with the option of Comfort Access, a clever sensor that opens the boot when your hands are full – all you need do is wave your foot under the rear bumper.